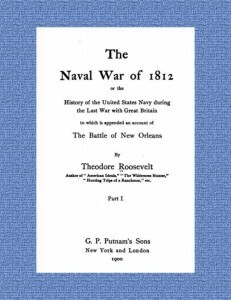 Click on the books below for open source copies of Theodore Roosevelt’s very detailed work on this subject. Produced while he was a young man this is thoroughly researched. Roosevelt’s sense of patriotism may skew his point of view at times but his research was very thorough for the time this was written.